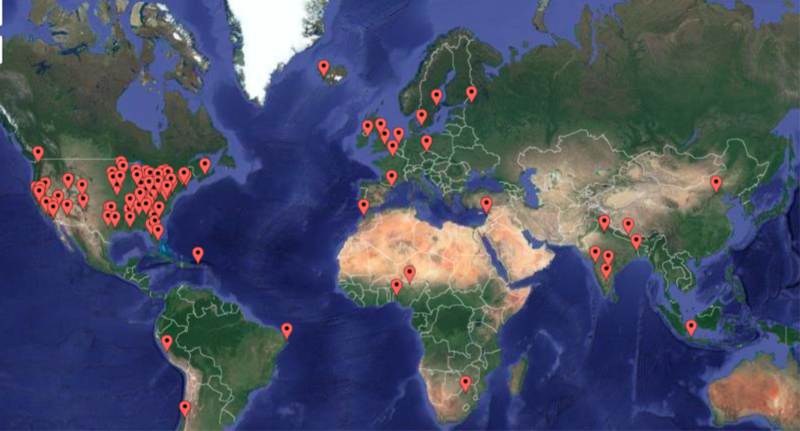 The map below depicts most of the cities throughout the world where Street Medicine Institute leaders have engaged in collaborative efforts toward the development and improvement of Street Medicine Programs. To become a Program Member, click here. The Street Medicine Institute is proud to announce the creation of its Student Coalition, our first group focused on street medicine programs run by students worldwide. 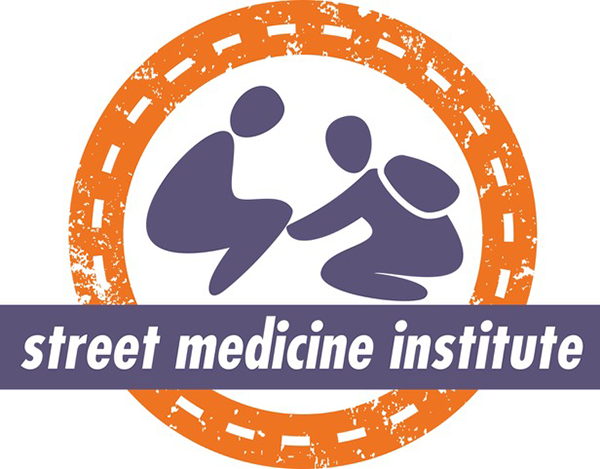 The Street Medicine Institute Student Coalition (SMISC) focuses on uniting all students interested in street medicine to share best practices, resources, ideas and research. SMISC is dedicated to helping students start and grow street medicine programs that provide quality healthcare to the unsheltered homeless where they live. "All students are welcome and encouraged to join the SMISC”, says Brianne Feldpausch, a third-year medical student at Michigan State University College of Osteopathic Medicine and SMISC’s Chief Coordinator. “Through our community of cross-learning, we hope to more efficiently improve quality of care for people experiencing homelessness throughout the world.” SMISC is also a place for university leaders, advisors and health providers who work with student-run street medicine teams. The SMISC has come to fruition due to the energy of street medicine student leaders at Michigan State University College of Osteopathic Medicine. They envisioned a group that could draw together students involved in street medicine with a dedicated place to discuss the particular challenges, benefits and best practices for student-run groups. With encouragement and approval from the Street Medicine Institute’s board, which has long imagined such an organization, SMISC is off and running. SMISC’s initial membership represents 30 existing student-run street medicine programs in 17 states, plus Puerto Rico. A further nine coalition members are actively developing street medicine programs at their health professional schools. By leveraging the ideas, experiences and momentum of students passionate about street medicine, SMISC will be a one-stop shop for students to learn from each other, receive support and position their individual street medicine group for success. With an aim to create a robust community, Feldpausch encourages all students involved in or interested in street medicine to join SMISC. SMISC’s first webinar is planned for February 2019, and topics for webinars in the coming months include trauma-informed care, street medicine residency tracks, street medicine electives and more. Additionally, SMISC is preparing student-focused sessions for the 15th annual International Street Medicine Symposium in the Fall of 2019. More about the Student Coalition, including our leadership team and how to reach us, can be found at our Student Coalition tab on the SMI Home Page. We are pleased to introduce the launch of a new Street Medicine Fellowship in Pittsburgh, Pennsylvania! This one-year position will begin in July of 2019 under the medical direction of Jim Withers, MD, and is available to physicians who have successfully completed a residency such as Internal Medicine, Family Medicine, Emergency Medicine or Psychiatry. The Department of Medicine at the UPMC Mercy Hospital of Pittsburgh is the academic host for the program in collaboration with Pittsburgh Mercy’s Operation Safety Net. This is the first known Street Medicine Fellowship and is non-accredited. The year will be focused on the development of expertise and leadership within the new field of Street Medicine. For more information contact Medical Director James Withers at [email protected]. The Street Medicine Institute recently published its first set of Street Medicine Clinical Guidelines (click on our Resources tab)! Street Medicine represents the intersection where evidence-based medicine and reality-based medicine meet. It is the first essential step in obtaining the necessary levels of medical, mental health, and social care; and, it's the conduit for assertive, coordinated, and collaborative care management in general. Street Medicine, then, is best viewed as a form of intermediate "home" care, with the aim of transitioning patients to a comprehensive, longitudinal primary-care relationship. Therefore, the care that we, as providers of Street Medicine, deliver to our patients must be of the highest possible quality, aligned as far as possible with traditional standards of care. Our new quick reference tool for providers of Street Medicine was created specifically to guide the treatment of rough sleeping homeless persons. Of course, the guidelines are not intended to be comprehensive, and the recommendations are not a prescriptive protocol. Each guideline is linked to a published guidelines accepted by the general medical community. Clinicians must exercise their own clinical judgment in the treatment of an particular patient. Creation of these guidelines began in 2016 at the 12th Annual International Street Medicine Symposium in Geneva, Switzerland, with a workshop attended by experienced Street Medicine clinicians from around the globe. Then from 2016 until 2018 the guidelines were circulated among the Street Medicine community to ensure a thorough vetting process and allow for additional contributions to the body of knowledge. We hope that the guidelines will continue to adapt and evolve, much as our patients surviving on the streets of our cities and towns. SMI welcomes your suggestions on these guidelines at any time. What is your primary reason for attending the annual International Street Medicine Institute Symposium?